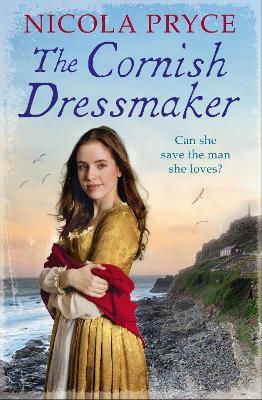 The third sweeping novel in a stunning series of family sagas set in eighteenth-century Cornwall, following the trials of seamstress Elowyn Liddicot as she attempts to forge her own destiny. Seamstress Elowyn Liddicot's family believe they've secured the perfect future for her, in the arms of Nathan Cardew. But then one evening, Elowyn helps to rescue a dying man from the sea, and everything changes. William Cotterell, wild and self-assured, refuses to leave her thoughts or her side - but surely she can't love someone so unlike herself? With Elowyn's dressmaking business suddenly under threat, her family's pressure to marry Nathan increasing, and her heart decidedly at odds with her head, Elowyn doesn't know who to trust any more. And when William uncovers a sinister conspiracy that affects her whole world, can Elowyn find the courage to support the people she loves in the face of all opposition? Nicola Pryce trained as a chemotherapy nurse before completing an Open University degree in Humanities. She is a qualified adult literacy support volunteer and lives with her husband in the Blackdown Hills in Somerset. Together they sail the south coast of Cornwall in search of adventure.